the ontological argument | J.W. Wartick -"Always Have a Reason"
I shared a video about the ontological argument that gives the absolute bare-bones of the argument on my Facebook recently. A friend came along and raised a point that that friend said had bothered them for a while. The objection was that could not such an argument be used to argue for the existence of an evil god just as much as for a good God? I typed up a response I would like to also share here. The first thing I’d point out is that such an objection to the argument assumes that evil is itself ontologically extant rather than a deprivation. That is, it assumes evil is itself a thing, rather than being that which is not-good. Although that is not an implausible position, it would take establishment of evil as a real existing thing in order for the argument to work. Another difficulty is that it seems intuitively false that maximal greatness could include “maximal evil.” That’s a reason things like the maximally great pizza don’t really work as objections to the argument–maximally great pizzas are not only nonsensical (for greatness of pizza depends upon one’s taste) but they also have nothing intrinsic in them to entail maximal greatness. Such an objection would have to establish not only that evil exist on its own rather than as a deprivation, but also that evil is a kind of “great-making property.” Since it seems clear that evil is not a “great-making property,” the burden of proof is on any who wishes to demonstrate that it is. A third problem is that the argument must see maximally good and maximally evil as epistemically on par with each other. For the argument to work, evil and good have to be effectively even when it comes to probability. But that is a very complex argument to make. Finally, if all of these difficulties were overcome, the one making the argument has effectively made an argument for radical skepticism, to the point that we could not really be epistemically sure of anything. I’ve argued for this last point at length. Basically, the point is that if it is true that if A and B are epistemically on par with each other, we have no way of distinguishing between A and B, then it follows that we cannot be sure of anything or making distinctions in everyday life. For it is the case that we can construct for ANY scenario X a scenario Y that is epistemically on par with it (at least in principle) such that Y _may_ be the case instead. And if that’s true, and the point made by the notion of an evil God is true, then we must adhere to radical skepticism. In other words, a reductio ad abusdum defeats the argument. The Ontological Argument: Question Begging? Many versions of the ontological argument appear to beg the question. The Anselmian version of the argument seems invalid, but there are other formulations of it which avoid its invalidity (cf. Maydole’s chapter on the Ontological Argument in The Blackwell Companion to Natural Theology, eds. Craig + Moreland, 553ff). Then, Alvin Plantinga came along and introduced the modal ontological argument, which relies on S5 modal logic. I have discussed Plantinga’s argument elsewhere, as well as demonstrated its validity. The argument seems, at first face, to be a very strange argument. However, the argument does not beg the question when viewed through modal logic. 1) does follow from 2) in a non-tautological way, but 1) must be established. Therefore, if something is possibly necessary, then it must obtain in some possible world (3). however, if it is necessary, then it exists in all possible worlds (4). Therefore, if something is possibly (exists in some possible world) necessary (exists in all possible worlds), then it exists in all possible worlds. Is this argument question begging? If it is, then it is not obviously so. Alexander Pruss has argued out that the argument is question begging only if it is directed at one who does not understand that 1) entails 2) (Pruss, The Principle of Sufficient Reason, 232). I’m not convinced that this is correct. Soundness of arguments don’t depend upon whether people understand them–they depend on whether they are valid or true. However, it seems Pruss has an intuitive point here, in that even if this argument isn’t question begging, it appears to be. How might the theist respond? Well, Pruss argues that if the theist argues for the establishment of S5, then it is no longer question begging (232). Alvin Plantinga does just that in God, Freedom, and Evil, as Pruss points out. We’ve already established elsewhere that Plantinga’s argument doesn’t beg the question regardless (see here), but this symbolic proof is bolstered by providing an argument for S5. Then, it seems to be the case that if S5 modality is valid, God necessarily exists. 6) Necessarily, a being who is the GPB is necessarily existent, and would have (at least) omnipotence, omniscience, and moral perfection essentially. 7) If the concept of the GPB is coherent, then it exists in all possible worlds. 8 ) But if it exists in all possible worlds, then it exists in the actual world. The key premise here is 10), because if it is true, then the rest of the argument follows necessarily. What reasons do we have for thinking 10) is true? Such a debate is beyond the scope of this post (good discussions can be found throughout theistic philosophy of religion–see, in particular, Craig and Moreland, Philosophical Foundations for a Christian Worldview and Swinburne, The Coherence of Theism; see also my brief discussion in the post on the argument here); but it seems to me that there is no incoherence in the concept. If that is the case, then I am justified in holding 14). Therefore, it seems the modal ontological argument is not question begging, particularly if one argues first for the validity of S5 modality. Furthermore, there are other modal arguments which don’t rely on a reduction to a simple modal argument. For example, Parrish’s ontological argument relies instead upon the coherence of the GPB. Such arguments are successful if arguments against the GPB’s coherence are shown to be unsuccessful. In either case, God exists. Maydole, Robert E. “The Ontological Argument.” The Blackwell Companion to Natural Theology. Edited William Lane Craig and J.P. Moreland. Blackwell, 2009. Parrish, Stephen E. God and Necessity. University Press of America. 1997. Pruss, Alexander. The Principle of Sufficient Reason. Cambridge. 2006. Logical priority, broadly defined, is the way things are ontologically ordered. That is, to say that for two factors, x and y, x is logically prior to y if and only if x takes precedence over y. An example could be to use miracles and God (note this is just for the sake of example, I realize that some would argue miracles can exist without God, but I’m simply using it as an illustration). The existence of God is logically prior to miracles in the sense that if God does not exist, then miracles do not. In this case, God would be x, while miracles would be y. In order for y to be the case, x must also be the case, thus making x logically prior to y. So what does this have to do with God? Very much, I would say. For one of the most common objections to the existence of God is that there is no (or not enough) scientific evidence to demonstrate God’s existence. I have addressed such objections before, but now I would like to take a completely different approach. That is, I believe that the existence of God is logically prior to the question of scientific evidence. The reason I take the existence of God to be logically prior to scientific evidence is be cause logic is prior to science. Take the case of necessity, for example, and combine it with the case of scientific laws. Now, in science, a law is generally something like “if x occurs, then y will occur.” But it is not the case that such laws operate on a logically necessary level. For it is not the case that “Necessarily, If x occurs, then y will occur” (or, □(x⊃y) for those who enjoy ‘logic-ese’). It is simply the case that this is what happens in all observed cases. It could even (possibly, but not modally) be said that “If x occurs, then, necessarily y will occur” (again, logic-ese: x⊃□y), but this does not establish logical necessity in the modal and broader sense. Logical necessity, however, is prior to this. For, on logical necessity, that which is necessary is necessary in all possible worlds. Logical necessity is the very thing which scientific necessity lacks. Again, we may ask, what does this have to do with God? Well, if it is the case that it can be demonstrated that God exists out of logical necessity, then the question of scientific evidence is irrelevant. For logical necessity is prior to scientific necessity. This is not to say that scientific evidence is not useful when exploring the “God question”, if you will, but it is to say that if it can be demonstrated that God is logically necessary, then demands for scientific evidence to demonstrate or even make probable the existence of God are misplaced. For if God is logically necessary, then to deny the existence of God is incoherent in the strong sense (that is, it is illogical). The logical demonstration would be prior to and therefore supersede the scientific evidence or lack thereof (I believe that there are at least some reasons scientifically to believe God exists, but that is off topic). But then, we must ask, can it be demonstrated that God is logically necessary? Well yes, I believe so. I have argued this at length elsewhere, so I won’t reiterate it (see here). If any of these arguments are sound (as I believe they are), then the question of scientific evidence for God’s existence is simply a non-factor. Certainly, the scientific (and other) evidences may be seen as providing further justification for believing that God exists, but if it is the case that the arguments for God’s logical necessity are sound, then such arguments are the only tools needed to defend the claim that God exists. Further, to dispute such a claim (that is, God’s existence) would be incoherent in the strongest possible sense. The Ontological Argument is probably the most widely misunderstood and maligned of all the theistic arguments. Counters to it often entail little more than mud-slinging, calling such an argument “wordplay” or “trickery,” but few get to the meat of the argument. Often counter-arguments include attempts to parody the argument (as here) or a dismissive strategy. But does anyone truly confront the argument? Rarely. Here I’ll present two forms of the ontological argument, and discuss them in some detail. Now let’s analyze this argument. The long story short is that this argument is logically valid. The conclusions follow from the premises. This can be shown with deductive symbolic logic (Maydole, 590). Thus, one cannot argue against it as being invalid, rather, the argument must be attacked for soundness. Let’s sum it up in easier-to-understand language, shall we? The first premise simply claims that in some possible world (out of infinite or nearly infinite), the property of “maximal greatness” is exemplified, that is, some body has this property. Premise 2) argues that this property is equivalent to maximal excellence, which is explained in 3) as (basically) the attributes generally believed to be possessed by God in classical theism. Premise 4) states the obviously true statement that if a property is universal it is in either every possible world or none. This is a simple tautology, it is true by definition. One could just as easily say a property that exists in every possible world or none is universal. X = X, this is true. Then, Plantinga argues 5) that maximal greatness is a universal property. This is key to understanding the argument. Basically, in his book God, Freedom, and Evil (and elsewhere), Plantinga makes the point that if a being is maximally great, then that simply entails being maximally great in all possible worlds. For a being that is maximally great in, say 200 worlds is not greater than one that exists in 2,000, but then this continues up the ladder until you have a being that is maximally great in all possible worlds, which then excludes the possibility of other beings with that property (for they would then, necessarily, not be the maximally great being). Finally, premise 6) follows from the previous premises (for if the maximally great/excellent being exists in all possible worlds, it exists in our own). The question for this argument is then whether it is true. The premise on which this argument hinges is 1) “The property of being maximally great is exemplified in some possible world”. This seems to be perfectly clear. Denial of this premise means that one would have to argue that it is logically impossible for maximal greatness to be exemplified in any possible world at all, not just our own. This means someone must have infinite knowledge of all possible worlds. Therefore, it seems as though this argument is almost airtight. But suppose someone insists that one can deny premise 1), well then the whole argument falls apart. I must admit I don’t see how anyone could logically do so, but I don’t doubt that people will do so. So if someone wants to deny premise 1), and then–in my opinion–become rather dishonest intellectually, they can deny the soundness of the argument. I don’t think that there is a way around this argument, but it is actually possible to make the Ontological Argument even stronger. 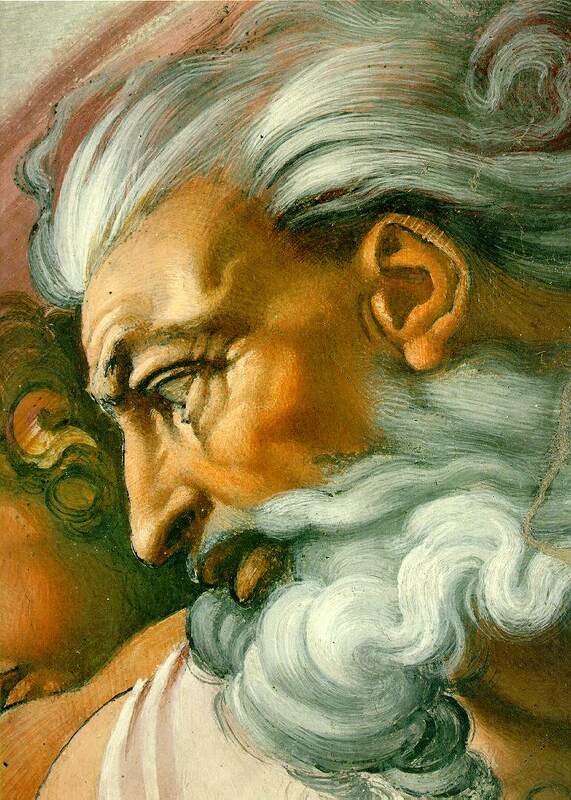 The most powerful version of the ontological argument, in my opinion, is presented in the book God and Necessity by Stephen E. Parrish (previously discussed here). 2) Necessarily, a being who is the GPB is necessarily existent, and would have (at least) omnipotence, omniscience, and moral perfection essentially. 3) If the concept of the GPB is coherent, then it exists in all possible worlds. 4) But if it exists in all possible worlds, then it exists in the actual world. This argument is also deductively valid. Premise 1) argues that the Greatest Possible Being is coherent–that is, there is no logical contradiction within such a being. 2) further defines what a GPB would be (Plantinga’s argument outlines this thoroughly). Premise 3) states the major part of the argument in a different way. Rather than arguing that it is possible that “maximal greatness” is exemplified in some possible world, Parrish argues that the concept of the GPB entails logical necessity along with such maximal greatness, and thus 3) follows from the previous premises, just as Plantinga’s version of the argument does. The key is to remember that in Parrish’s version of the argument, the coherence of the GPB is what is important, not the possibility (for if it is coherent, it is possible). 4) This is tautologically true. 5) follows from the previous premises. What Parrish does here is actually takes out the possibility of denying premise 1) in Plantinga’s argument. Let’s look into this closely. Parrish argues that the concept of the Greatest Possible Being is coherent. Why is this so important? Well, because if we grant for a moment that the GPB exists, such a being could not fail to exist due to some kind of chance mistake or having some other being or thing prevent the GPB’s existence (Parrish, 105). The first point (that chance could not prevent the GPB’s existence) is true because the GPB would be logically necessary (it would either exist or not exist in all possible worlds). This claim is reinforced by the idea of maximal greatness being a universal property (above). The second point (nothing else could prevent the GPB’s existence) seems quite obvious. If there were a being or body or thing, etc. that could prevent the GPB’s existence, the GPB would clearly not be the Greatest Possible Being. If some other being were powerful enough to prevent the GPB’s existence, then that being would be greater. So the only thing that could prevent the GPB from existing is self-contradiction within the concept. Why is this? Well, after a little investigation it seems pretty clear. If the GPB is a coherent (and logically possible) concept, then such a being does exist. Let us say that the GPB is coherent. Let us then take some world, W, and see whether the GPB can fail to exist. The concept of the GPB includes logical necessity in all possible worlds. The GPB has all the properties of maximal greatness. This means that these properties are universals. We can simply refer back to the argument above. If the GPB exists and has omnipotence, omniscience, etc. then it must exist universally, because, again, if some being is the GPB in only 200/1,000,000,000 possible worlds, the being that is GPB in 2,000 is greater. But this seems ridiculous, for the truly Greatest Possible Being must exist in all of them, for if there was a possibility for some being to exist in all the worlds that the GPB exists in +1 and exemplify the maximally great attributes, then that being would be the GPB (and the previous one would not really have omniscience, etc., for the GPB would be more powerful, existing in all possible worlds, and being sovereign in all possible worlds) . Now let us return to W. It now seems completely clear that W could not be such that, if the GPB is coherent (and therefore possible), W could not fail to exemplify the GPB. But have we then demonstrated that coherence is really the issue here? Is it possible that we are just thinking up some thing, calling it the GPB, and then arguing it into “supposed” existence? Logically, it does not seem so. The reason is because we are arguing that the GPB entails these properties. Things have, essentially properties. I exemplify the property of “having fingers.” I also exemplify the properties of “being finite,” “being human,” “having two feet,” etc. These properties don’t belong to me simply because someone sat around and decided to assign them to me, rather they belong to me because of the kind of thing I am. (Parrish argues similarly, 55). But in the same way, we could answer such objections by saying that these properties are part of the concept of God because that’s the kind of thing God is. Certainly, there have been all kinds of “gods” claimed throughout history that are finite in power or activity, but those aren’t the “gods” whose existence we are arguing for. Rather, we are arguing for the existence of the God of classical theism, and that God has such properties as necessary existence (in the analytic sense), omnipotence, omniscience, etc. This objection really doesn’t have any weight. But again, let’s assume for the sake of argument that it does. Let’s assume that the objection may be true. We are just taking some “X” and arbitrarily saying that it is omnipotent, necessary, etc. Does that preclude such an object existing? I don’t see how this could be true. But even further, some claim that this doesn’t match up with Christianity’s concept of God. This seems preposterous. One needs only to open a Bible to find that, while words like “omnipotence” are not used, words like “Almighty”, “Most High”, and the like constantly are. And what kind of objection is this really? Is the person making this objection going to concede that it is possible that there exists some nearly-omnipotent-but-not-actually-omnipotent creator of the universe? No, the objection is beyond logic and into emotional repugnance at the thought of God actually existing. But we can even go further. For let us simply define God as the Greatest Possible being. This seems like it could very easily operate as a definition of what “God” is, at least on classical theism. Well then, what properties might this Greatest Possible Being have? And then we simply build them up. Omnipotence seems obvious, as does omniscience, as does necessity, etc. So this isn’t some arbitrary assigning-to of properties, but rather such properties are part of the GPB simply because of what the GPB actually is, if the GPB existed. Now we can return to the matter at hand. Does God exist? Well it follows from all of this that yes, God does exist. The theist has established that there are some arguments that deductively prove that God does exist. The only “way out” for the atheist is to attack premise one and argue that the concept of the GPB is, in fact, contradictory. And let’s be honest, there have been many attempts to do so. I can’t possibly go into all of them here, but I can state simply that I remain unconvinced. Often these arguments are things like “Omnipotence and omniscience are impossible to have, because if God knows in advance what He’s going to do, He can’t do anything else!” This argument is obviously false, for simply knowing what is going to happen is not causation. I know that a sheep is an animal, this does not cause the sheep to be an animal. I know that I am going to finish typing this post, that does not cause me to do so. Rather, I choose to continue typing and finish this post. Of course, one might say “You can’t really know you’re going to finish this post! Your computer might explode and you may get brain washed, etc.” Well that is a whole different debate, but I think that such objections, ironically, actually apply not at all to God. For if God is omniscient and omnipotent, it seems clear that God actually would be above such things! For nothing could prevent God from finishing something He knows He’s going to do! Not only that, but God’s knowledge is such that He actually would know He is going to do something, and freely chooses to do so. I don’t see why God’s foreknowledge of an event somehow limits omnipotence, especially when one considers that God is part of agent-causation, so God chooses to do the things He is going to do. Thus, the argument falls apart. But now I’m already farther off track than I was (and thus preventing myself from finishing this post, AH the irony!). Suffice to say that I very much doubt that any objection to the coherence of the GPB even comes close to succeeding. But then, if that is true, God exists. Logical necessity is one of the most interesting concepts within philosophy, in my opinion. What does it mean, for example, to say something is necessary? Can anything have necessary existence? It doesn’t take long for questions like these to come into play when thinking about the God of classical theism. This is what makes the concept so interesting to me. Not so long ago, I read and reviewed the book The Nature of Necessity by Alvin Plantinga. I honestly must say I highly underrated it on my “Relevance” Criterion. I constantly find myself opening the book and paging through it in order to clarify some concept. It was a truly monumental work which outlayed the foundations of what the concept of “necessity” means within logic. Further, it presented Plantinga’s now famous (at least in the corner of the philosophical world I’m interested in) “Victorious Modal” Ontological Argument for the existence of God. But Plantinga only dedicated a chapter to these questions of what logical necessity means in terms of theism. I have just finished reading God and Necessity by Dr. Stephen E. Parrish (though when he wrote it, he didn’t have the “Dr.” part!). This book finally explores quite fully what necessity has to do with the concept of God. It is to this work and the ideas therein that I now turn. Any citations are from the book unless otherwise noted. The idea that God exists necessarily is obviously an important one. But it must be maintained that this is not held in a question-begging fashion. Rather, the idea is that if God exists, God exists necessarily (9). Why is this important? If one were to simply say that God exists necessarily, it seems that one is begging the question in theisms favor. But this is not the case. Rather, theists are defending the view that if it is the case that God exists, then God exists necessarily. It is this kind of subtle but important point that God and Necessity excels in pointing out. They aren’t the central point of the work, but they are welcome additions. Thus, if God exists, then it could not be otherwise. Parrish states “God, if he is the LNG [logically necessary God], exists in all possible worlds and is eternal, independent, omniscient and omnipotent, etc. in all of the worlds. It is because of this concept that the factually necessary God (FNG), as Parrish describes it, cannot be the Greatest Possible Being (GPB), for the FNG is only necessary in one or some possible worlds, while the LNG is necessary in all possible worlds and unchanging (26). Further, the FNG could exist in worlds in which it were not the GPB in that world, so it can clearly not be the GPB, for one could conceive of a being that existed in more (or all) possible worlds and was the GPB in all of these. Thus, God must be conceived of as the LNG. But some, such as Hume, have objected that God cannot be logically necessary, for we can conceive of God not existing. This objection quite obviously misses the point (49). For it is necessarily true that “2+2=4.” But we could certainly (mistakenly) hold that, say, “2+2=5.” Just ask any 3 or 4 year old some kind of logically true mathematical equation and you may get a wrong answer. Does this mean that these things are not necessarily true? Obviously not. Thus, just being able to conceive of it not being the case that a necessarily true proposition is true does not actually mean it is not necessarily true (50). “One can, and often does, conceive of necessary truths as being false” (51), but this does not make them false. This is generally a misconception I continually see in debate. When considering the laws of logic, something simply is regardless of whether or not anyone believes it to be the case. Things that are logically necessary simply are no matter what anyone thinks about them. The only way to argue against something that is being held as necessarily true is to show that there is some contradiction in holding this truth (56). It is a sign of a well-argued book if it can change a mind about an important issue. I have been operating under a kind of dichotomy in which I generally grant that God operates logically for the sake of argument, but don’t actually believe that, for example, the law of noncontradiction applies to God. God and Necessity changed my mind on this stance, and I now agree that God does operate logically and that logic is synthetically necessary to his being. One reason for this is Parrish’s discussion of Norman Geisler writing on this subject, “[O]ntologically, the laws of logic are dependent on God for their existence” (47). But it is across pages 72-79 that I became convinced. I don’t want to type out all of it here, but I will state the main points that convinced me. “For any object x, where x is intrinsically unknowable [i.e. it is a logical contradiction], then x is meaningless… Nothing whatsoever can be said about it (77).” I think this was possibly the turning point. For let us try to imagine some kind of thing that, on my old view (that God could do anything including make contradictions true) is possible. Let us imagine God could make a square circle. But just examining this concept, one can see that it literally means nothing at all. Other contradictions suffer the same problem. Finally, in closing his refutation of accomodationalism (that God can do contradictions and every logically possible thing), Parrish states, “This is not a limitation, for anything that God [as the GPB] could not do is nothing (79).” This tightly argued section was a simply fantastic refutation of a view that I have held throughout my philosophical explorations of theism. 2. Necessarily, a being who is the GPB is necessarily existent, and would have (at least) omnipotence, omniscience, and moral perfection essentially. 3. If the concept of the GPB is coherent, then it exists in all possible worlds. 4. But if it exists in all possible worlds, then it exists in the actual world. I again unfortunately don’t have the space or time to write out the wonderful defenses of this argument in the book, so I will highlight key points. Parrish starts with a refutation of the various parodies of the ontological argument. I have addressed these elsewhere and so will let this point stand. Another excellent point Parrish makes is about the GPB’s omni-benevolence, a point I have debated at some length. Parrish states, “[H]ow can there be some objective standard of good and evil to judge the being which, by definition, is the source of everything else (98)?” Further, “[T]here is no autonomous standard of ethics by which he might be judged (98).” There is more there, of course, but these two points were quite enlightening on this point that I myself have had some problems clarifying: why believe the GPB is all-good? Well, the GPB simply would be the standard of good and evil, so there would be no way by which to judge that the GPB is evil. Simply put, the GPB would be the standard and therefore would have no standard which could in turn judge the GPB. Next, Parrish investigates the cosmological and teleological arguments. I’m not going to write much on this section, not because I didn’t think it was valuable, but because it is mostly a set up for Parrish’s main argument, that which he terms the “Transcendental Argument.” Parrish points out that everyone has some kind of “probability structure” from which they judge various propositions. Thus, someone who is a non-theist will believe that the probability of God’s existence is quite low, while a theist will most likely believe quite the opposite. Because of these probability structures, it is hard to fairly examine evidence from either viewpoint (generally 145 and following). I’d like to point out that Parrish’s discussion of plausibility/possibility structures is similar to Michael C. Rea’s own discussion of “Research Programs” in World Without Design (which I discussed here). Thus, Parrish advances the “Transcendental Argument” which is, in my own terms, the argument that God’s existence is necessary prior to any kind of logical thought whatsoever. Basically, Parrish states that there are three possibilities for the existence of the universe: Brute Fact (that everything is chance), Necessary Universe (our universe exists necessarily), and Necessary Deity (183). There are worldviews that combine aspects of some or all of these, but essentially any worldview can be reduced to these beliefs. Parrish argues that the universe cannot be brute fact, because there is no way to explain for everything in our universe not continually fluctuating (i.e. if everything is chance, why are things not popping into and out of existence at random). He argues against the Necessary Universe by pointing out some contradictions in this structure, including that those who hold to objectivism commit a kind of de dicto – de re fallacy, equating what should simply be de dicto necessity with de re necessity. Finally, Parrish sums it all up by pointing to the GPB as argued earlier as being the only possible explanation for our universe. This is a very bare-bones summing up of his argument, but there really is no way to sum it up in any small fashion that does it justice. As with most philosophical works, it must be judged as a whole, not by taking single parts out and critiquing them. The arguments contained in God and Necessity build off of each other throughout the book, and culminate in the conclusion that in order for their to be any kind of rational thought at all, God, as outlined in Classical Theism, must exist (279). God and Necessity by Dr. Stephen E. Parrish is one of those books that is definitely exactly what the title says it is: a defense of classical theism that applies logical necessity to the concept of God. Dr. Parrish argues for the concept of God as the Greatest Possible Being (GPB). Because of this concept of God, one can draw a number of conclusions, including God’s omnipotence, omniscience, omni-benevolence, etc. Dr. Parrish argues conclusively against the concept of a Factually Necessary God (FNG) as opposed to a Logically Necessary God (LNG) being the GPB. The FNG exists in many worlds as the GPB, but not in all possible worlds. Only the LNG exists in all possible worlds as the GPB. He follows this with a form of the ontological argument unique to the work. Instead of grounding his version of the ontological argument on the premise that “Possibly, the GPB exists in some possible world” as most modal versions of the argument do, Parrish starts with “The concept of the GPB is coherent (82).” In this way, he avoids the problem that some versions of the argument don’t address, which is that someone could simply deny that it is possible that the GPB exists in any possible world. Thus, Parrish’s version is strengthened, for he bases it on concept of the GPB rather than on the modality of the GPB. In each chapter, Parrish fairly presents counter-arguments and refutes them. His argumentation is always clear and as concise as possible. I would compare his style of arguing with Plantinga’s in that they both have a very clear flow of their book from start to finish, with each point building on the last throughout the work. Further, Parrish injects a touch of humor here and there in his work. My one criticism is that sometimes, in his efforts to refute as many counter-arguments as possible, Parrish dismisses them a little too easily. This was particularly evident in his discussion of the compatibility of omniscience with incompatibilist (I believe this is equivalent to libertarian) free will. I would love to see his style of systematic argumentation applied to this issue. Despite this, this discussion really wasn’t all that relevant to the rest of his work, which may be part of the reason he didn’t dwell on it. After presenting the case for the ontological argument, Parrish discusses the teleological and cosmological arguments, concluding that they may hold weight depending on one’s own plausbility structure. This point is quite interesting: everyone has his or her own plausibility structure from which he or she judges everything, including other plausibility structures. Thus, an argument like the teleological argument may hold some weight in one struture, but not as much in another. Because of this, Parrish presents what he calls the “Transcendental Argument.” This argument, in my own words, essentially states that God’s existence is necessary for any kind of logical thought. The rest of the book focuses on this argument. Essentially, Parrish argues for this by presenting three possibilities for the universe: Brute Fact (the universe is chance), Necessary Universe (the universe exists for intrinsic reasons), and Necessary Deity (the universe exists because of an external, necessary being). He refutes the first two worldviews and provides support for the Necessary Deity (the GPB). This constitutes about half the book and is extremely useful, not just for its applicability in regards to the argument Parrish is making, but in that it helps refute various alternatives to theism. God and Necessity is a philosophical masterpiece. It has a broad scope, it is tightly argued, and it is extremely relevant. Despite very few minor flaws, Dr. Stephen E. Parrish’s book, God and Necessity is an essential part of any Christian apologist’s library. In this second in my series countering counter-apologetics, I will examine arguments that are supposed to counter the Ontological Argument, which I personally believe is both logically valid and unavoidably true. There are two main sources I will use to show the anti-theistic counter. Iron Chariots and Richard Dawkins. It is telling that I personally believe that Iron Chariots, a Wikipedia-offshoot site for counter-apologetics manages to make a better case than Richard Dawkins. The Ontological Argument comes in a very wide range of forms. There is no way I could discuss all of them individually in a limited space, so I won’t. What I will do is simply lay out a very basic template that underlies most ontological arguments, show the counter-arguments and counter those. 1. It is possible there is a being that is the greatest conceivable being. 2. That which exists in reality is greater than that which exists in the understanding. 3. Therefore, the greatest possible being must exist in reality by definition. This is by far the most basic possible way I could strip the argument down. I’d like to put a mini disclaimer here and say I am no professional philosopher, so I may have taken too many of the finer points out of the Ontological Argument, but I think this is the best summing up. There are a few ways that anti-theists attempt to counter this argument, by making a parody of it, by challenging the first premise, or by judging it as unintelligible. I will deal with the latter argument first. The challenge is made that the Ontological Argument is unintelligible. This is, I believe, the general point Richard Dawkins is trying to make in his amateurish attack on theistic arguments in The God Delusion. He points to a few things in order to try to get around it. The first is reducing the argument to the “language of the playground (104).” I might point out that I would gladly put his entire book in such language, because I wholly agree with him when he states that “I am a scientist rather than a philosopher (107).” Poking fun at an argument is an interesting tactic, but wholly ineffective. I honestly have nothing more to say about this first apparent attack, because all it shows is Dawkins’ own ineffectual method of argumentation: discarding the rules of philosophy in favor of elitest bickering. His second attack is stating that, “The very idea that grand conclusions could follow from such logomachist trickery offends me aesthetically, so I must take care to refrain from brandying words like ‘fool (105). '” Dawkins breaks his own rule several times, not using the word fool, but berating the religious in general throughout his book. Further, the fact that logic offends him aesthetically speaks volumes for the amount of mastery he has over philosophy. His claim that an argument such as the ontological one is “trickery” really does nothing to the argument, because once again it’s not actually an attack on any of the premises, but rather simply being offended by a logically sound argument. In his third approach, Dawkisn simply tries to point to the argument as unintelligible by quoting a story of a debate between Euler and Diderot, in which Euler was said to have stated “Monsieur [sic], (a+b^n)/n=x therefore God exists!” I’m not entirely sure I’m drawing the correct conclusion from Dawkins random placement of this quote in his supposed dismantling of various theistic arguments, but it seems he’s comparing the Ontological Argument to just pulling random things out of a hat. Unfortunately, that is not the case, because the Ontological Argument is logically valid, and the only way to get around it is to challenge a premise, which Dawkins either can’t, due to his ineptness with philosophy, or won’t, due to his general misrepresentation of theism in general, do. Further, how exactly is it that the ontological argument is unintelligible? It states simply that it is possible to think of a being that is the greatest of all. That’s not so hard to comprehend. The argument doesn’t depend on us being able to conceive of this being in its entirety, just to have a concept of possibility. This idea that God is possible is intelligible to even those children who would use the “playground language” dawkins attempts to reduce the Ontological Argument to. The other points of the Ontological Argument follow, so the argument itself is intelligible. Iron Chariots takes a different route, presenting some of the more interesting challenges to the Ontological Argument (in fairness to Dawkins, he did show a parody of the argument, but I don’t think it’s any better or worse than those presented at Iron Chariots). The Ontological Argument is generally thought to be most susceptible to parodies. This is essentially taking an argument and constructing a new argument with the same logical structure to come to an absurd conclusion. Let us define a unicorn as a magical equine being that has one horn, and that exists. By the above definition, such a being must necessarily exist. Shangri-La is the greatest place on earth. A place that exists is greater than one that doesn’t. The problem with these parodies is that they seem to miss the entire point of the Ontological Argument, which is that it is discussing a necessary being. Unicorns, by definition, are contingent beings. That is, their existence is not necessary, they are not necessary in our universe for our universe to be as it is. The same goes for locations such as Shangri-La. The theistic God, however, has tied into the concept necessity. According to theism, God is not a contingent being, but a necessary one. Therefore, these parodies don’t actually do anything to the Ontological Argument because they missed one of the core premises. Now I will concede my mini-Ontological Arugment doesn’t explicitly state necessity, but other versions do. It can also be shown through logical analysis that these kind of paraodies are invalid. There are many problems with this attempt to parody the Ontological Argument and prove God doesn’t exist. These are all problems with the premises. Premise 1 states that the creation of the universe is the greatest achievement imaginable. How so? Are there not achievements that could be greater? Could not the greatest achievement be creating infinite universes? For the sake of argument, however, I’ll concede step 1. Premises 3 and 4, I believe, has the greatest problems. Premise 3 assumes that doing things with a handicap makes something logically greater. I’d love to see a proof of this. The premise makes an appeal to common sense, but that is invalid in logic. I’m not at all convinced that having a handicap and doing something makes that achievement itself greater. This is made more problematic by the fact that premise 1 points to the universe as being the greatest achievement. This would seem to mean that an achievement is a finished product, not the steps leading up to the product. For example, the Cubs winning the World Series after over a century without doing so may seem a greater achievement than the Yankees doing so, but it would be hard to show that logically, for both have the World Series as the finished product. I’m willing to grant premise 3, however, just for the sake of argument. Premise 4 is where the argument really breaks apart. How is it that non-existence is a handicap? Handicaps can only be applied to things that do exist. To imply that something has a handicap assumes implicitly that it exists. Thus, premise 4 essentially says that a being both exists and does not exist, which is logically impossible. I assume that this premise was in order to counter the idea that existing-in-reality is greater than existing-in-understanding, but note that both of these are existing. In other words, the choice in the Ontological Argument is not saying that something that doesn’t exist exists, just that something that exists-in-the-understanding rather exists-in-reality. Premise 4 is therefore completely invalid both logically and in relation to the Ontological Argument. I may talk further about Ontological Arguments, but that’s what I have for now. As William Lane Craig states, the Ontological argument leaves anti-theists with no way out. If the concept of the theistic God is even possible, than God exists, necessarily.